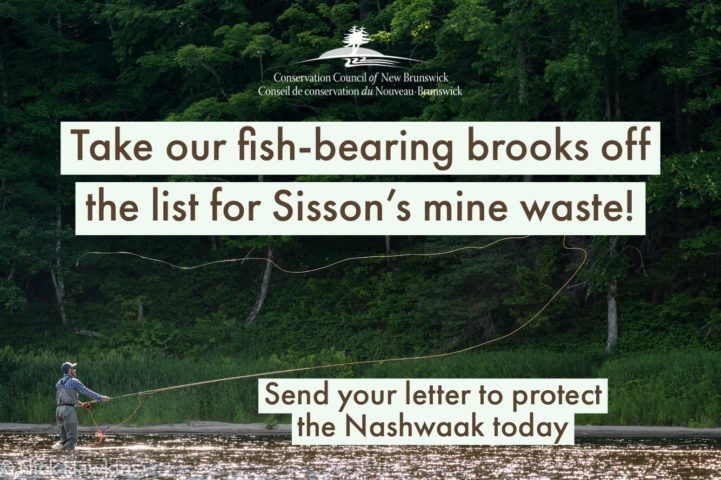 New Brunswickers have one final opportunity to tell the federal government to keep fish-bearing brooks off the list for the proposed Sisson Mine’s waste dam. The companies behind the proposed mine are in the final stages of applying for permission to dump mining waste into portions of Bird Brook and a tributary of the West Branch of Napadogan Brook, both fish-bearing waters in the pristine Nashwaak watershed. 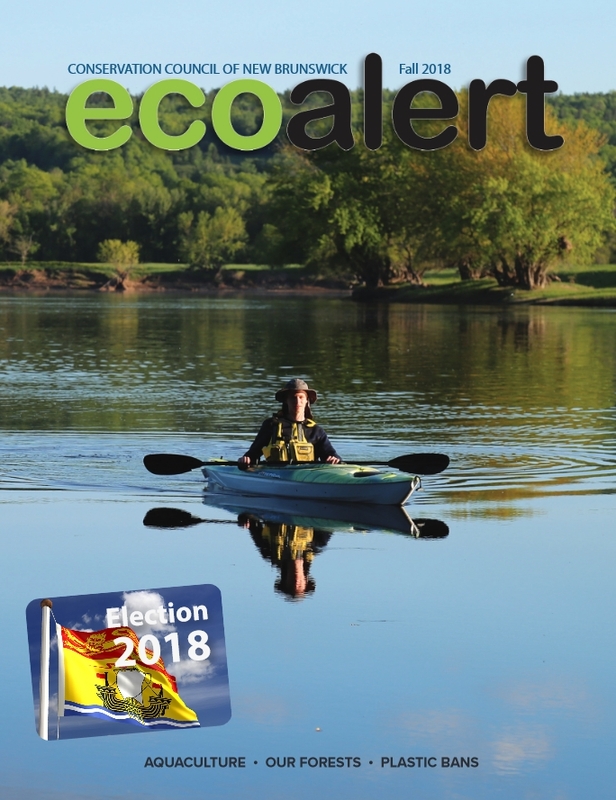 The public has until March 18, 2019 to submit their final comments or concerns to Environment Canada before the federal government makes its decision. We’ve made it easy for you to have your say. Use our letter-writing tool below to send our pre-written letter (which you can edit freely) to Environment Canada. The tailings dam the Sisson Partnership is proposing to hold the mining waste during and after its 27-year operation — which the partnership’s documents show would be twice the height and eight times the length of the Mactaquac dam — is of the same design as the system which failed at the Mount Polley mine in B.C. in August 2014, devastating the watershed and important sockeye salmon habitat. 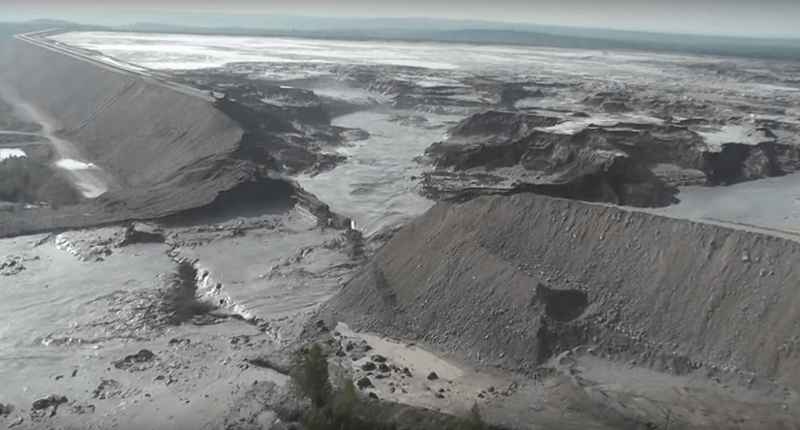 Mount Polley tailings dam breach, B.C. The project received provincial environmental assessment approval in December 2015, subject to 40 conditions, and federal approval in June 2017. Now the Sisson Partnership, owned by Northcliff Resources and Todd Minerals Ltd., is carrying out the regulatory stage of the project. The partnership’s proposed amendments to the Metal and Diamond Mining Effluent RegulationSchedule 2 and its Application for Authorization under the Fisheries Act, if approved, would see mining waste dumped into portions of fish-bearing waterways, destroying Sisson Brook and significantly affecting parts of McBean Brook, Bird Brook, Lower Napadogan Brook and an unnamed tributary to the West Branch of Napadogan Brook. This would have an impact on Atlantic salmon, brook trout, the endangered American eel, and on depository brooks. 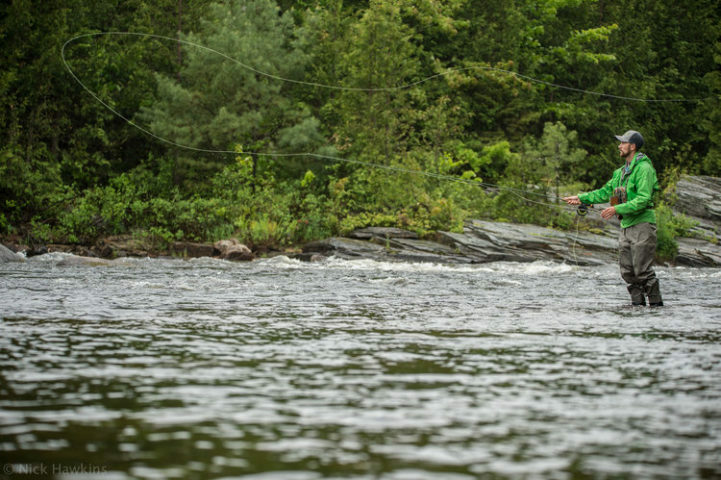 Fly fishing on the Nashwaak watershed. Photo: Nick Hawkins.